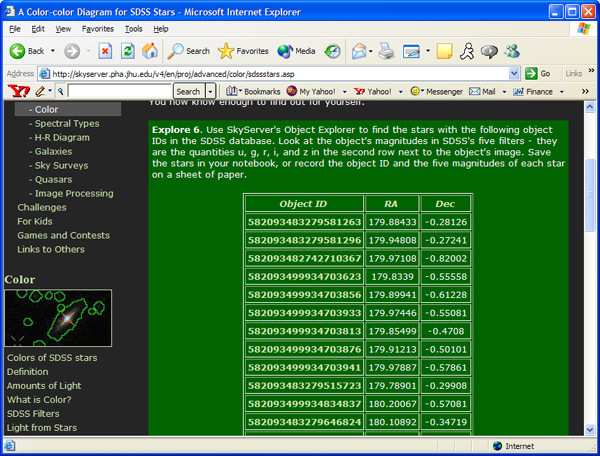 The last three digits of every Object ID show up as zeroes. This is especially bad because if you try to search for these objects by ID in the Object Explorer, you won’t be able to find them! The 15-digit limit is set by the CPU processor, so no settings in Excel could fix the problem. 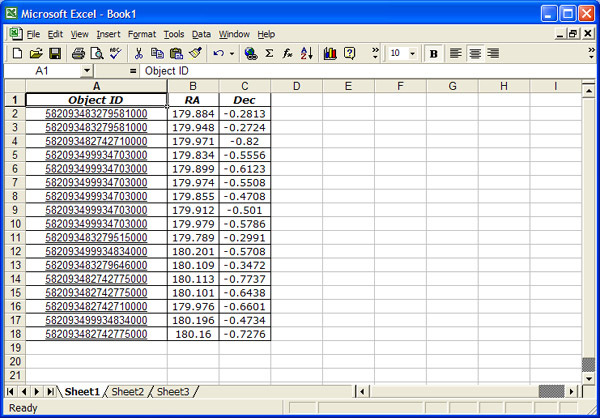 The solution is to have Excel read the Object ID as a text string rather than a number. To tell Excel to read the ID as a string, enter single quotes (‘) at the beginning and end of the ID. Copy your list of Object IDs into a text editor (like Notepad) and enter the quotes by hand. If you enter these Object IDs (with single quotes) into the Object Explorer’s “Search by ObjID” feature, you’ll get the correct object. Entering the single quotes by hand is time consuming, and it’s not practical if you have more than about 20 objects. If you have many objects (like you might get from the SQL Search tool), you should save the results as a CSV file. 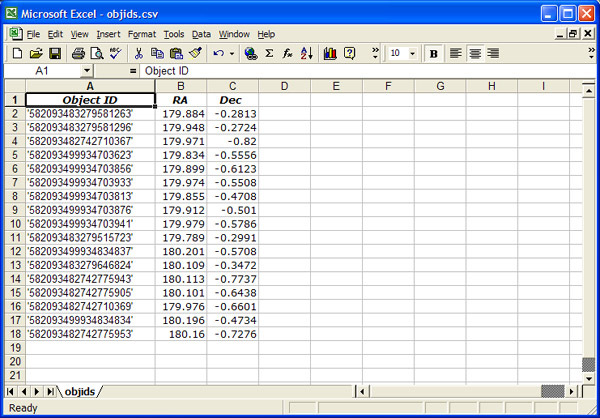 To learn how to properly open CSV files, see How to open a CSV file.